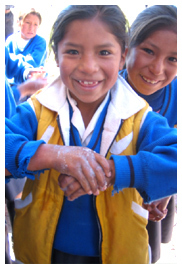 On 15 October, 2009, more than 80 countries celebrated Global Handwashing Day. Children, teachers, parents, doctors, nurses, government and civil society representatives, religious leaders, and celebrities across six continents washed hands with soap to remind the world that “Clean Hands Save Lives!”. See here the highlights of Global Handwashing Day 2009 in 83 countries.